The Ossa display unit is one of the most majestic pieces of Glasslab furniture, standing tall at 1730mm. 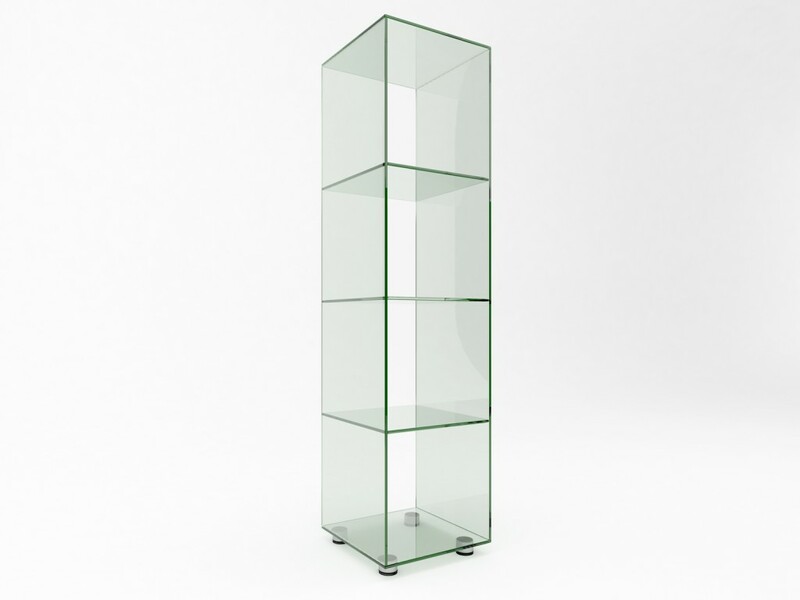 The unit is available as either a single or double display unit, with the single offering four compartments to display or store items, as well as space on top for further use. The single unit is 440mm x 440mm x 1730mm and is made with 10mm clear toughened glass.